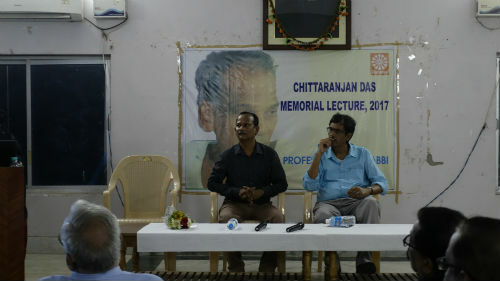 Bhubaneswar : The Sixth Chitta Ranjan Das Memorial Lecture was delivered by Prof. Anvita Abbi, former Professor of Linguistics , JNU and renowned scholar, on 14th of October 2017 at Vyasa Kabi Fakir Mohan Bhawan, Bhubaneswar. The annual lecture is organised by Sikshasandhan in the memory of Professor Chitta Ranjan Das, an eminent freedom fighter , educationist and writer. Prof. Das was founder Chairman of Sikshasandhan , an organisation innovating education for the last 22 years. Prof. Abbi said that every language evolves over time and expresses a unique world view . When a language dies this world view disappears. Languages are intimately bound up with the environment and the death of any language implies an irreparable damage to ecological harmony. Attempts should be made tp promote and preserve linguistic diversity and one should never equate unity with uniformity. 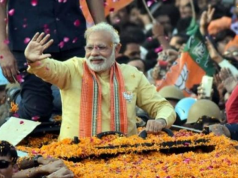 She illustrated this observation with numerous examples from her extensive field work carried out among tribes in the Andamans, some of whom are facing extinction. She told the audience how she has prepared a script for one of the endangered languages spoken by an Anadamanese tribe, Jarua and talked about its grammatical structures. Students, academics, writers and eminent scholars were present at the lecture, which was followed by a lively discussion. 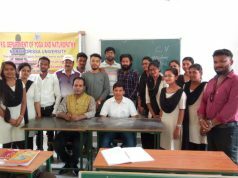 The lecture was presided over by Prof. Jatindra Kumar Nayak , Chairman of Sikshasandhan and the programme concluded with a vote of thanks by Anil Pradhan ,Member-Secretary , Sikshasandhan.